Our mission, and we choose to accept it, is to be an Underground Network Committed to a Lifeline of Entertainment, making a positive difference in the accessibility of alternative artists and labels primarily through effective radio promotion and grassroots marketing by providing honest, enthusiastic and strategic representation and support. Business savvy yet very laid back, this agent disarms with an unexpectedly goofy wit. Predilection for early ‘80s punk, New Wave and goth bands. Regardless of cover, can always be spotted by Prada shoes. Collection of spy paraphernalia and comic books provides leverage, presents potential for blackmail/extortion. Specialties: Music assessment and implementation of promotion and marketing cost effectively and done with integrity for our clients. # of Kills: That would be telling! Training: Chico State, University (for 2 years), worked at KCSC; BA from Boston University, worked at WTBU. While Agent 0013 isn’t cool enough to be a character in an Ian Flemming novel, his collection of Mid-Century Modern furnishings makes him feel as if he lives like one. # of Kills: Do cockroaches count? Training: California State University, Fresno and a masters from the school of hard knocks. It was during the so-called Alternative Explosion when Marc Kordelos left his job as West Coast Director of Alternative promotion at Columbia Records. There he had spread the word about a diverse and impressive array of artists: Toad the Wet Sproket, Jeff Buckley, Alice in Chains, Neds Atomic Dustbin, Suede and Soul Asylum, to name a few.  Founding U.N.C.L.E. 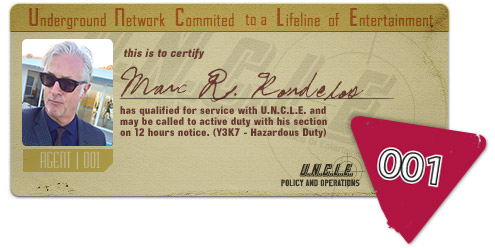 (Underground Network Committed to a Lifeline of Entertainment) – 1995; Kordelos turned from Columbia rep to Agent 001 status developing U.N.C.L.E. into a company that has grown to become one of the leading altenative radio contractor/marketing strategy companies in the US. 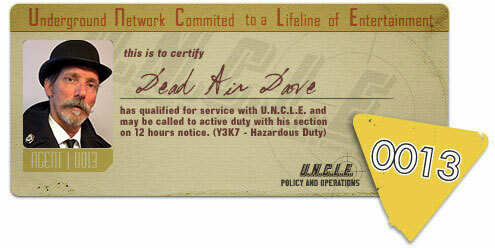 As U.N.C.L.E. continues past two decades of promotion, check out some of the cutting-edge acts and labels that have chosen us to best represent them! VIEW PROJECT ARCHIVE. U.N.C.L.E. currently maintains relationships with more than 90 stations which includes non-terrestrial, and on-line formats. U.N.C.L.E. provides artists/labels full service alternative commercial specialty and full blown commercial promotion, marketing. U.N.C.L.E. publishes a weekly e-zine called KISS KISS BANG BANG with the latest info on what’s happening in the world of Alternative, Unsigned bands, Specialty Charts and so much more.